Coffee & Snacks after each service in Fellowship Hall. We are Handicap Accessible, offer large print bulletins and hearing assistance devices. Our Communion is monthly and open to ALL people and ALL ages. Palm Sunday April 14th, Worship at 8:00 am., Worship with Confirmation and Communion at 9:30 am. Maundy Thursday April 18th, Worship with Communion at 7:30 pm. Good Friday April 19th, Worship at 1:00 pm. and 7:30 pm. Easter Sunday! April 21st, Worship and Communion at 7:00 am. and 9:30 am. Potluck Easter Breakfast at 8:00 am. We have an employment opportunity for an Office Manager Position. God does not turn anyone away and neither do we. We are a community that is committed to extending an extravagant welcome to all people. Come in Packers gear or your Sunday best. 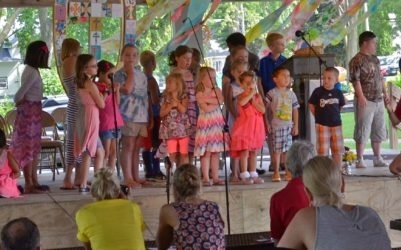 Sing Modern and Ancient songs in Creole or Spanish. 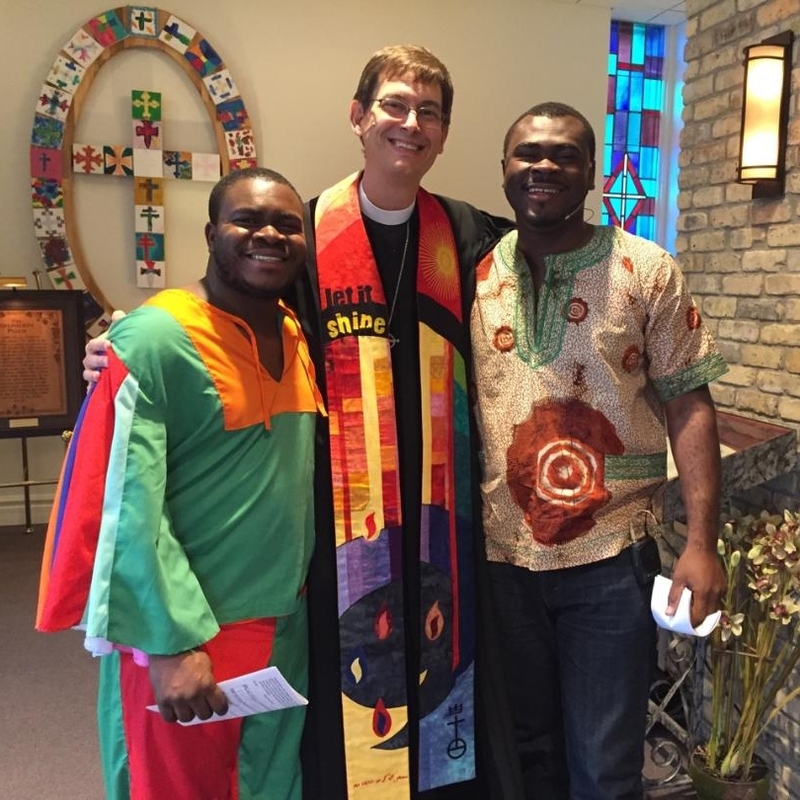 See Pastor Eric in a traditional robe or preaching "in character." We value a worship service that enables active participation and not just passive consumption. A woman in her 70’s, a man in his 20’s, teenagers from a Confirmation Class, members of our Youth Choir... all get involved! To join our Prayer Chain Weekly Email, reach out to prayers@peace-ucc.org.